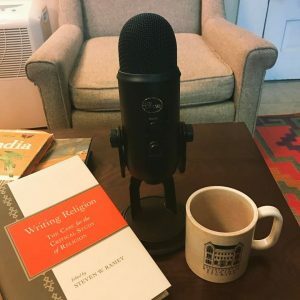 In the spring of 2017, our department launched the Study Religion podcast. Like our blog, the podcast was a chance to take the research and teaching of the department to a public audience. You can find the podcast on Soundcloud and iTunes (please leave us a comment and a rating!). All of our episodes, along with transcripts, are also available below.